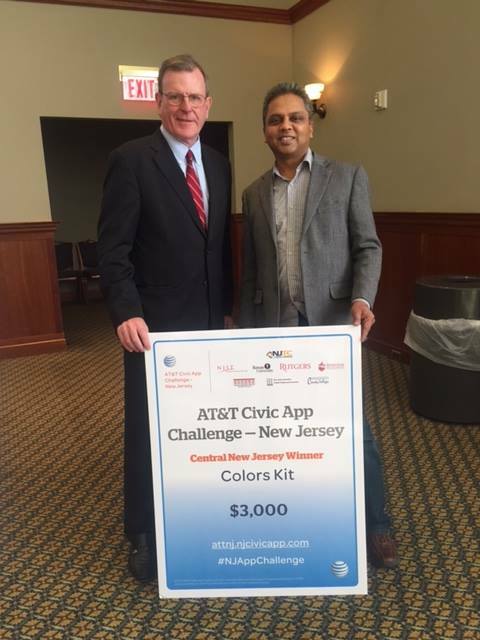 Somerset, NJ, December 16, 2015	(Newswire.com) - ​Team ColorsKit was represented by Manish Patel and Gerald Franklin at Rowan University, where officials from AT&T joined the president of Rowan University, leaders from the state’s tech community, state government, academia and business to announce the finalists and other regional winners of more than $20,000 in prizes for the AT&T Civic App Challenge. ColorsKit is a suite of customizable mobile apps for screening, assessment and teaching. It gives teachers, parents and healthcare professionals a ready-to-use toolkit which they can customize with their preferred methodologies and approaches. The comprehensive solution is designed to manage the complete range of cognitive developmental challenges faced by children and adults with autism and other special needs. The team from Somerset received $3,000. “We are proud to receive this award and look forward to building on our vision for solving the global challenges faced by those in the autism community. This recognition by AT&T and the New Jersey Tech Council is a step forward in bringing awareness and opportunities to improve the lives with technology,” Patel said on behalf of the team. “Serving military personnel, veterans and their family members who sacrifice much of what we take for granted would be an honor for us. With reliable technology resources at our disposal, we can help this community take better care of their children,” said Nish Parikh, CEO of WebTeam Corporation and chief architect behind the ColorsKit platform, as he thanked AT&T. “I know the team at WebTeam Corporation looks forward to working with individuals like Lloyd Deans to expand the capabilities of the ColorsKit platform to help our military veterans who may require assistance readjusting to civilian life,” Patel added. 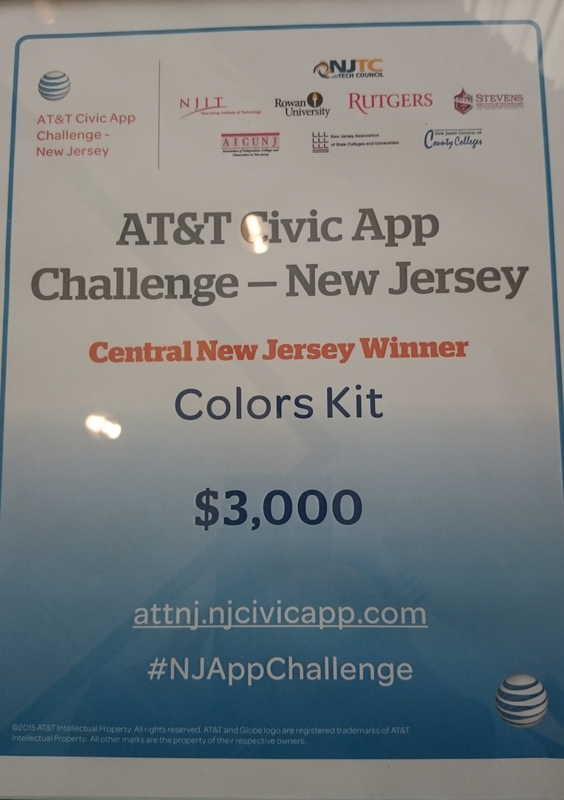 The event was the culmination of a two-month virtual hackathon that AT&T launched in September with the New Jersey Tech Council, and several other organizations across the Garden State to inspire New Jersey’s coders, students, artists, thinkers, makers and entrepreneurs to develop mobile applications that meet community needs. As part of this challenge, special consideration was given to apps that help military veterans and their families. “This challenge showcased what can happen when talented, committed New Jerseyans apply their talents and expertise to help make their communities stronger. We applaud the winners and finalists for their innovative ideas. And, we’re grateful to our collaborators from across the state who share our commitment to helping New Jersey lead in the digital, global economy,” said J. Michael Schweder, president, AT&T Mid Atlantic.